New work in many media from over a dozen artists who work weekly at the open life drawing group in Penzance Cornwall. Featuring drawings, prints, paintings, monoprints and artists' cards. Dates: Friday 17 June to Wednesday 29 June 2016 inclusive. Times: Tuesday to Saturday 11am-4.30pm, Thursdays open late till 7.30pm. Private View: Thursday 16 June 6-8pm. 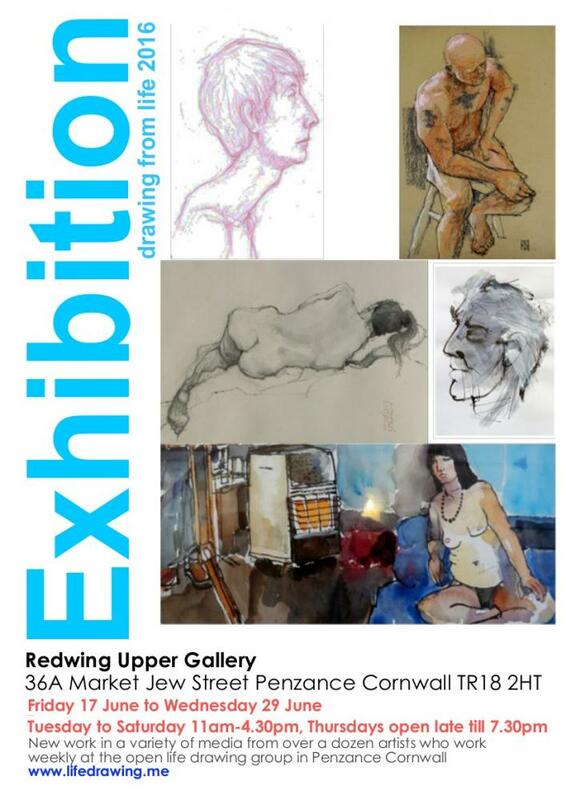 Location: Redwing Gallery's Upper Gallery at 36A Market Jew Street, Penzance, Cornwall, TR18 2HT.